Volume Three covers Queen's Pawn systems, including the Averbakh system: 1 d4 g6 2 c4 Bg7 3 e4 d6 4 Nc3 and shows ways for Black to play against the London system and Torre Attack. The Modern Defence is a tough system based on counterattack. 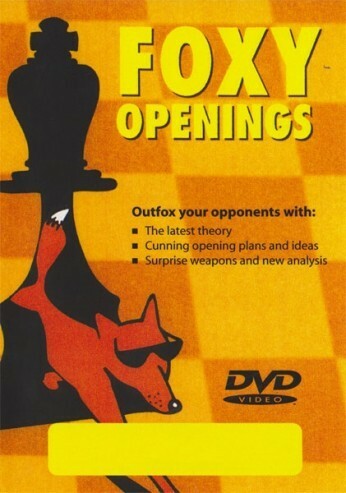 In this new three-volume Foxy Openings series IM Andrew Martin maps out a repertoire for Black for use by players of any level. The Modern creates difficult positions which are ideal if you want to play to win with Black. Volume One covers black responses to the Austrian Attack and 4 Be3. These are the most aggressive options available to White. Volume Two covers all other White systems coming from the 1 e4 move-order Volume Three covers Queen's Pawn systems, including the Averbakh system: 1 d4 g6 2 c4 Bg7 3 e4 d6 4 Nc3 and shows ways for Black to play against the London system and Torre Attack.